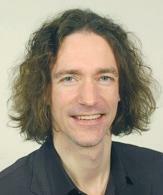 Prof. Schmidt teaches Financial Mathematics at Chemnitz University of Technology. He has a strong background in statistics and probability theory and is currently working on credit risk and interest rates markets. In particular he focuses on Heath-Jarrow-Morton approaches for credit risk and CDO modelling as well as the role of incomplete information in credit risk. Beyond this, Prof. Schmidt works on statistical aspects of energy markets and biomarker data and the application of shot-noise models to various markets.